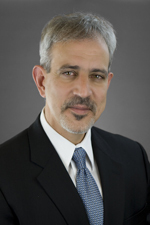 Sergio E. Acosta is a partner at Hinshaw & Culbertson LLP in Chicago. Mr. Acosta’s practice focuses primarily on white collar criminal defense and internal investigations. Since joining Hinshaw in 2010, he has directed numerous internal investigations for both private and public entities. Mr. Acosta began his career in 1985 as an Assistant State Attorney in Miami, Florida, where he served under former U.S. Attorney General Janet Reno. Mr. Acosta served as an Assistant U.S. Attorney in Chicago for almost twenty years, including seven years as Chief of the General Crimes Section. During his time as an Assistant U.S. Attorney, Mr. Acosta personally directed and supervised hundreds of federal criminal investigations. From 1994 to 1999, he was the Project Triggerlock (now known as Project Safe Neighborhoods) Coordinator for the U.S. Attorney’s Office, where he working closely with federal and local law enforcement officers in the investigation and prosecution of numerous federal firearms and violent crimes offenders. From 2003 to 2010, Mr. Acosta served as the Criminal Civil Rights Coordinator for the U.S. Attorney’s Office. In 2008, Mr. Acosta led the team of FBI agents and prosecutors from the U.S. Attorney’s Office and the Department of Justice Civil Rights Division in the investigation that led to the indictment of former Chicago Police Commander Jon Burge.